Oh Pat, what have you done. 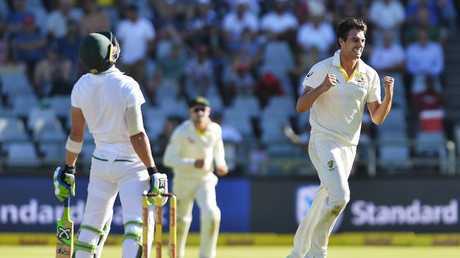 SOUTH Africa controlled the opening two sessions on day one before the Aussies came roaring back to life in the final session. Dean Elgar and AB de Villiers put the Australian attack to the sword and continually picked apart the gaps in the field as the locals finished 8/266. Elgar brought up his 11th Test century and only his second ever against Australia as he batted throughout the opening day to finish on 121 not out. Josh Hazlewood was the early destroyer with the ball before Pat Cummins tore through the middle order with an incredible eight-over spell. Here are the main talking points from the opening day's play in Cape Town. Pat Cummins celebrates after dismissing Faf du Plessis. While it was a rather dull day in the field for the Aussies, one moment caused a bit of a stir with the locals. Pat Cummins could be sent a "please explain" after footage emerged showing him standing on the ball. 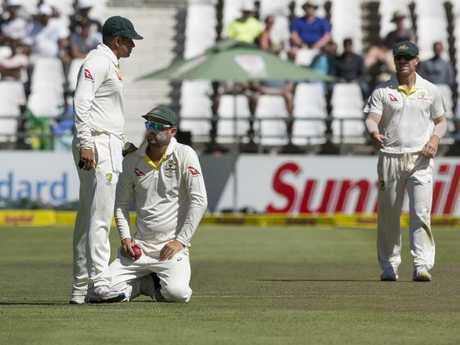 Former South African skipper Graeme Smith stated the incident was done "accidentally on purpose". 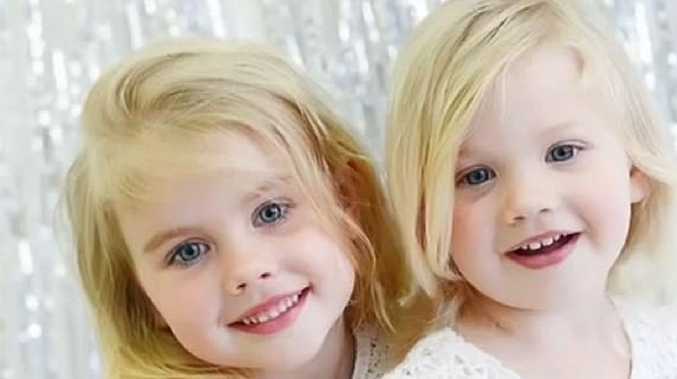 In a series with more controversies than a season of Home and Away, it seems there may be another chapter to come. As replays of the incident hit the screens inside the stadium, the cameras panned to show the South African changerooms and there wasn't a happy face to be found. 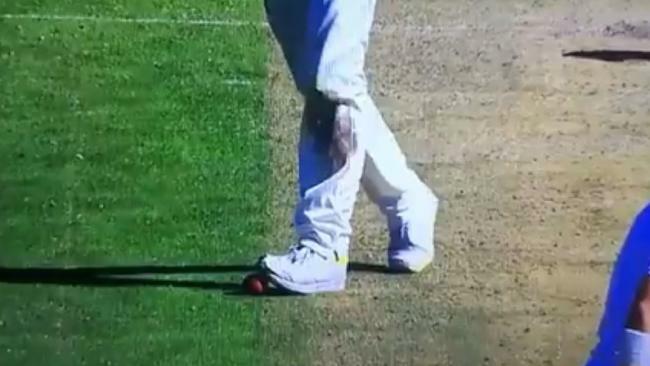 Of course Cummins didn't cop any heat from the umpires following the stomping, but again as this series has shown us the umpires original decision, isn't always the final decision. Catching practice booked in for the morning. 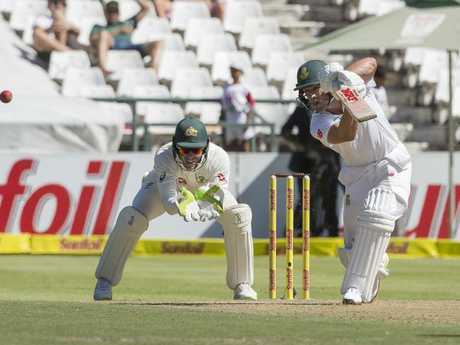 Dean Elgar made the tourists pay with the bat as he flourished on a batting-friendly deck in Cape Town. His stunning innings should have been cut short on 53 when he cut a Josh Hazlewood delivery in the direction of Nathan Lyon. Fielding at point, Lyon made a complete mess of the attempt and never had his hands set as the ball tumbled through his arms before falling to the turf. If that wasn't enough, Elgar then watched on as another attempt went through hands and left him standing at the crease. This time it was skipper Steve Smith who was too slow on a flashing ball that went past him fielding in the slips. Elgar made the Aussies pay for their sloppy fielding as he anchored the locals and pushed them towards a huge total. Josh Hazlewood extended his incredible run of dominance against Hashim Amla, dismissing his bunny for a seventh time in 10 Test innings. 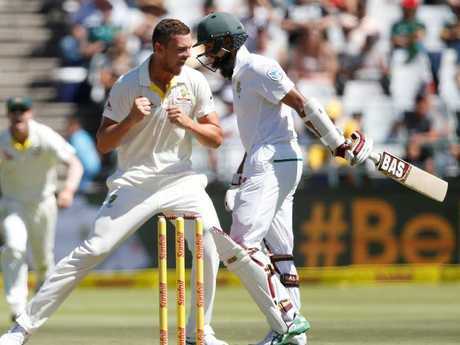 Hazlewood pestered Amla with the short ball after the lunch break until finally he'd had enough and played at a rising delivery that went into the hands of Pat Cummins in the deep. Amla had gone 10 overs without adding to his score when he played the hook shot from a surprisingly rearing Hazlewood bouncer. The seven dismissals now put Hazlewood only one behind England's Stuart Broad who has dismissed the South African a total of eight times. Amla is among South Africa's most accomplished players, with Graeme Smith and Jacques Kallis the only batsmen to have scored more Test runs for their country. No South African has enjoyed more Test wins over Australia than Amla. But there is something about Hazlewood's immaculate control that routinely rattles the 34-year-old, whose strength is normally his patience at the crease. Hazlewood started his streak in the 2016-17 series between the sides in Australia, dismissing Amla five times in the space of 49 deliveries. Centurion Dean Elgar insists the pitch in Cape Town is no batsman's paradise, while AB de Villiers says it reminds him of the surface at the same venue on which pure chaos unfolded in 2011. Australia are well placed to bat themselves into a decent position, but as some members of the current side know all too well, Test cricket is a funny beast. Australia rolled the Proteas for 96 at Newlands in 2011, claiming a first- innings lead of 188 runs, then watched in disbelief as they were skittled for 47. It remains Australia's lowest Test total since 1902. The hosts won the game by eight wickets. "It reminds me quite a bit, and I'm not saying it's going to happen, of that wicket," de Villiers said, having scored 64 and looked well set to produce his second century of the four-Test series. "That funny Test. I'm not saying it's going to be wickets galore in the next couple of innings, but it played similar to that first innings. Michael Clarke made it look quite easy and then it just started going a little bit around. Just when you feel in you can get out, just like myself." Elgar, who finished 121 not out after watching a collapse of 6-37 from the non- striker's end, suggested de Villiers makes any pitch look docile with the ease at which he scores runs. "But the wicket is by no means flat," the opener said. "It was tough out there, especially when you're a new batter in. This wicket has shown characteristics that batting might be tough and get tougher as the Test goes on. "Which is perfect for us, because our bowling unit can really exploit the conditions."